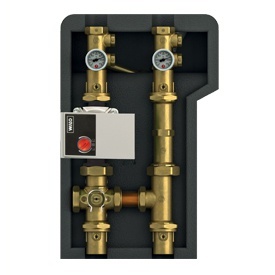 Boiler Room Components | Giacomini S.p.A.
Modern buildings have to guarantee operating continuity, easy maintenance, and low management costs; that's why even heating systems have to offer optimum safety and reliability, and fully meet the legislative and prescriptive regulations. 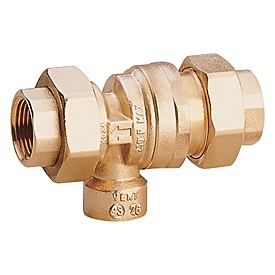 To satisfy these needs beginning right in the heart of the system, the boiler room, we have a complete range of components for ensuring excellent control and energy efficiency. 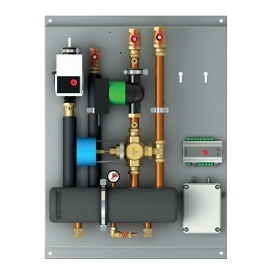 Approved components (complying with INAIL) for the creation and maintenance of centralised systems with heating produced by pressurised water. Safety, control and efficiency, all to the highest standards. 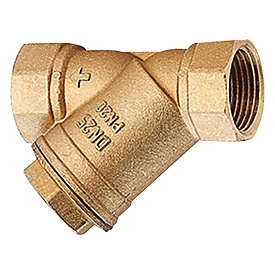 Wide range of products for creating efficient heating systems of every size, both in new applications and for extraordinary maintenance tasks. 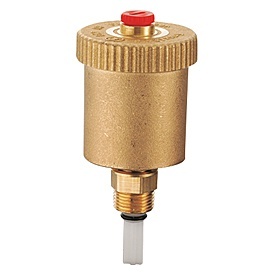 Wide range of components and pre-assembled units for effectively controlling the water delivery temperature in hydronic heating and cooling systems. 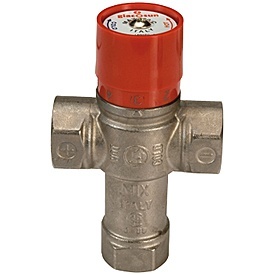 For intercepting or automatically deviating the flow of the vector fluid, thereby favouring ambient thermoregulation and system control in general. 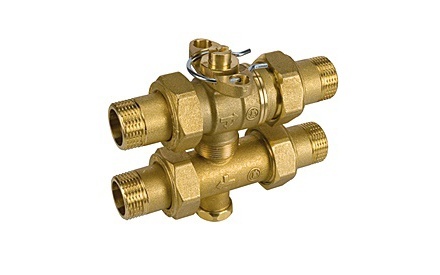 R555 instrument manifold groups the different components for control and safety of the boiler room (INAIL). 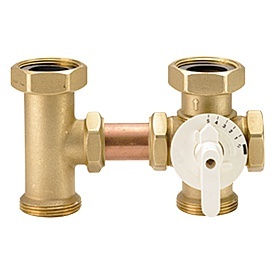 The manifold is compact and it enables an easy and quick installation. 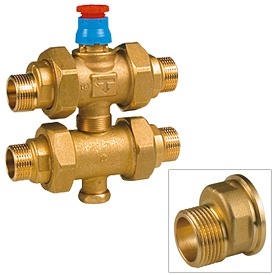 The valve N143 is used for the interception of the flow of fuel to a heat generator and switches off when the temperature of the fluid reaches the sensor set temperature. 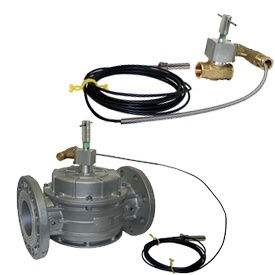 It works as a safety valve with positive action, not driven by external energy, and is mounted on the fuel pipe. Paired to R555. 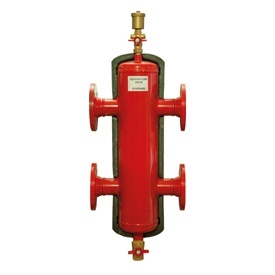 Wide range of dirt separators to eliminate impurities in the circuit. Available in the magnetic versions too, to allow the filter to stop dirt and metallic impurities. 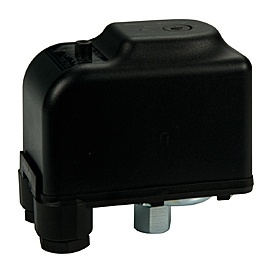 The magnet is not directly in contact with the fluid and can therefore be taken away without dismounting the filter. Universal preassembled satellites for heating and cooling management. 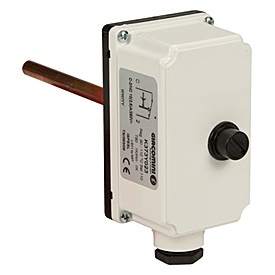 Easy and quick to install, they combine together different components for regulation, control and shut-off. 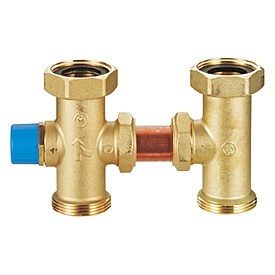 The 6-way valve is especially developed for applications on four pipes systems, where it is necessary exchange the supplied water temperature at the devices, to produce cooling or heating in the buinding’s rooms.The typical installation is on hybrid heating/cooling systems. 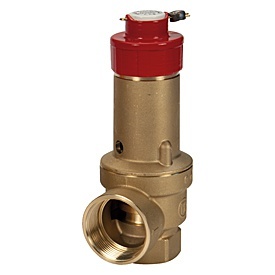 It substitutes two traditional motorized zone valves, solving the complicated issue of their syncronization.